Hey you guys!! 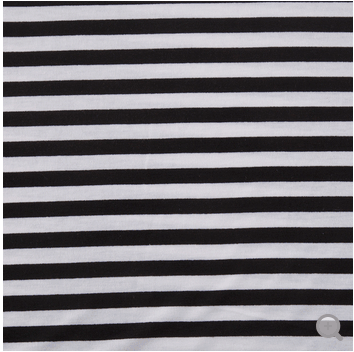 You probably already know about my “problem” by now but if not… Hi, I’m Sarah, and I’m addicted to stripes. 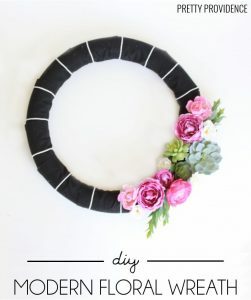 I am also really into making wreaths lately… I’ve made two in the past week and I’m still basically exploding with wreath ideas. 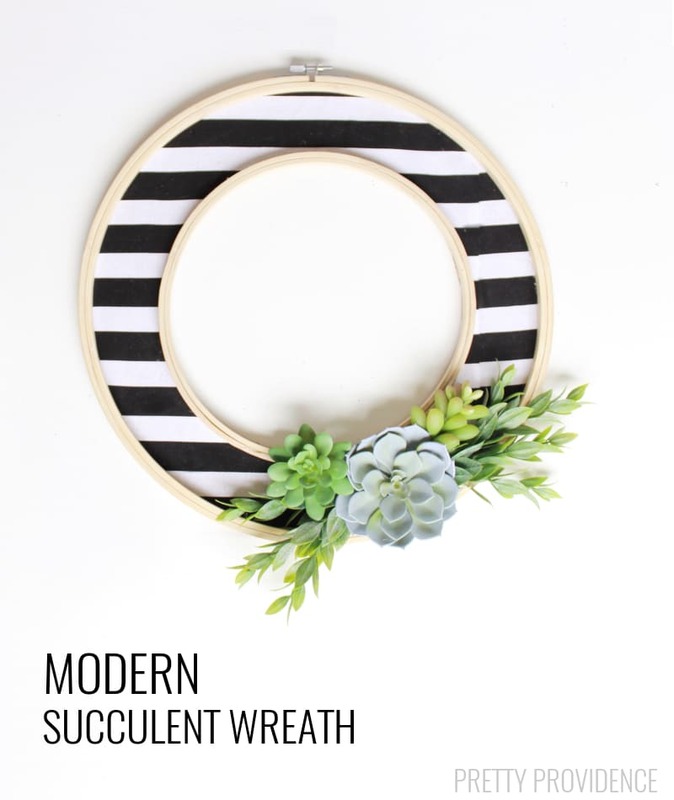 Anyway — today I’m sharing how to make this super easy modern succulent wreath and, of course, it is striped because it has to match all my clothes and things in my house! Haha. 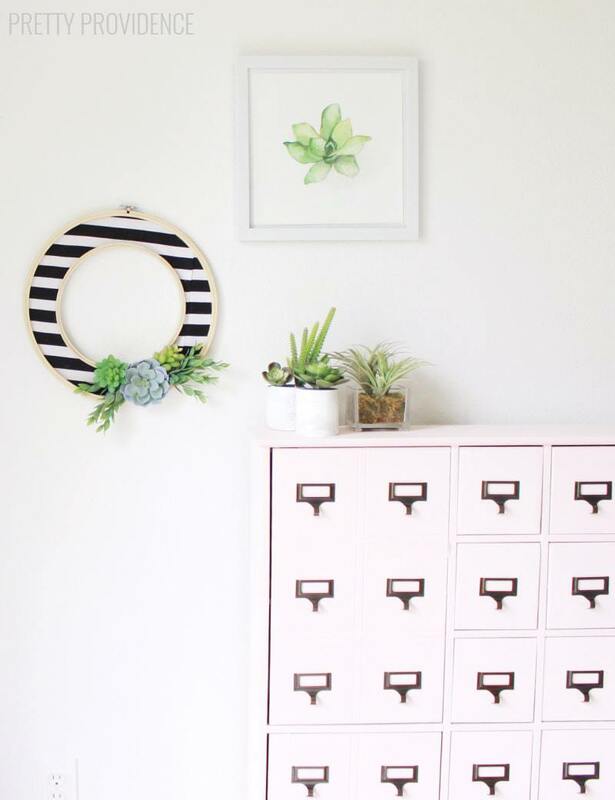 This month’s Michael’s Makers challenge was FLORAL. I found these cute faux succulents in their spring floral market for just a few bucks each, and the idea for this was born. 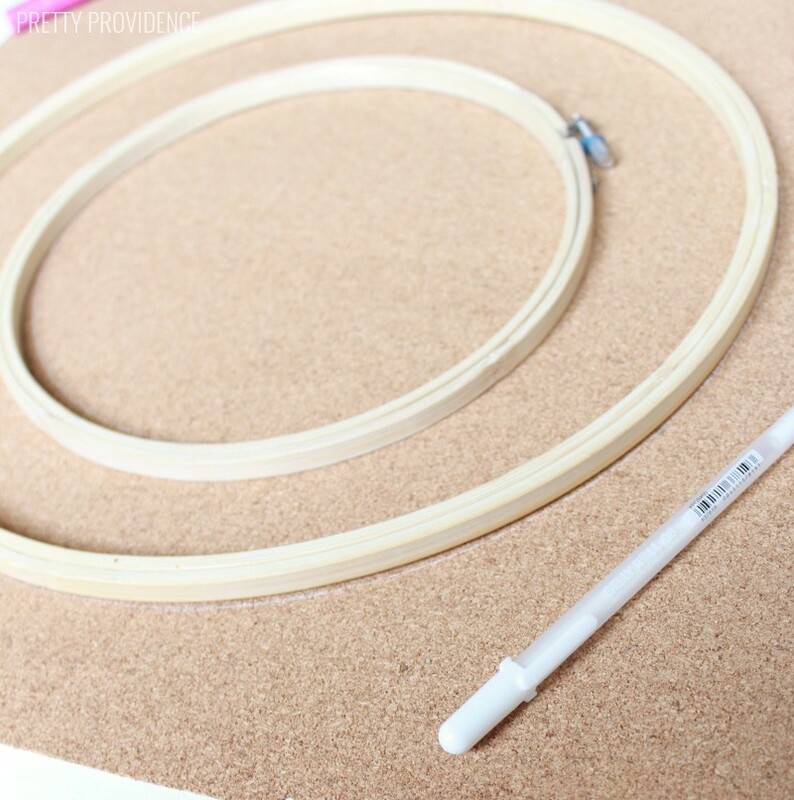 Lay out hoops on top of foam board (or cork board) and trace around the outside edges of the hoops with white pen/pencil. Cut ring out of foam board. Repeat same steps with fabric. 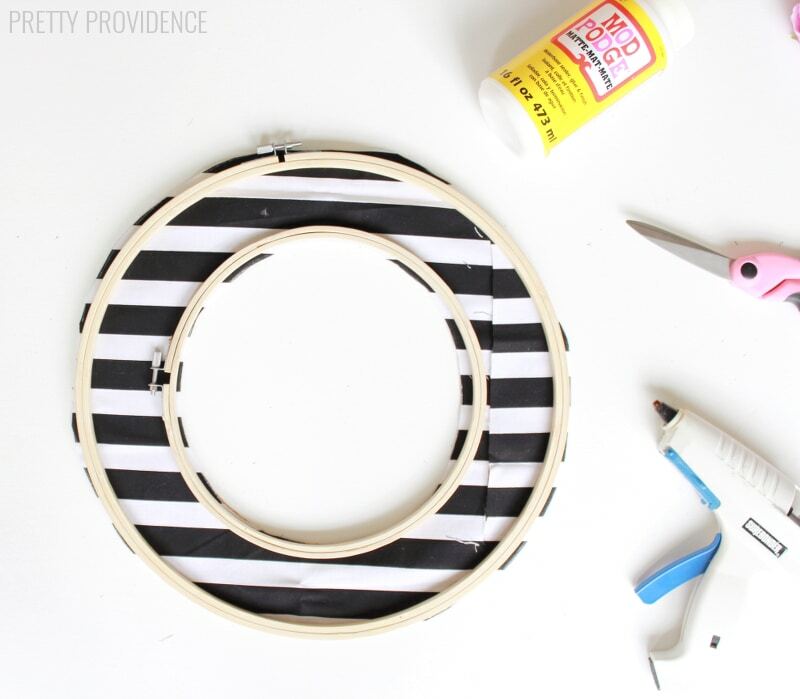 Use mod podge to adhere fabric to your foam board. 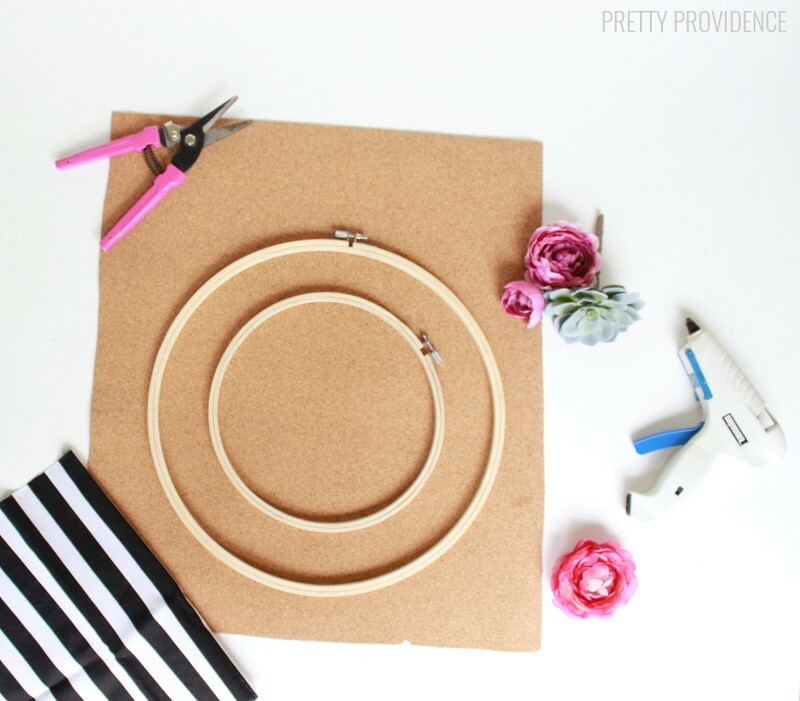 Hot glue hoops to the edges of fabric/board. 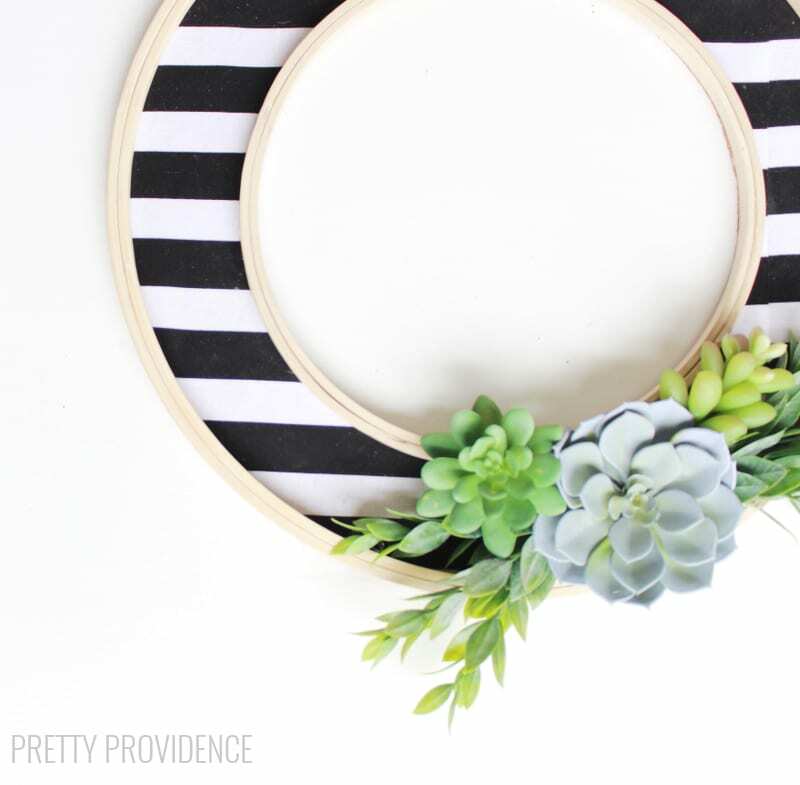 Hot glue succulents onto the bottom right section of your wreath. You will probably have to trim around the edges. 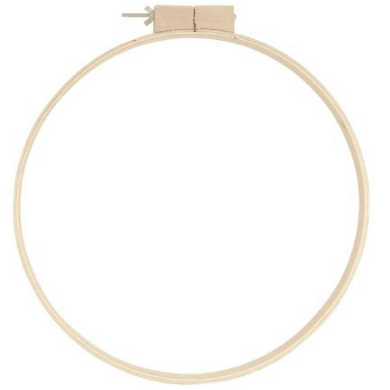 I used a craft knife like this one, and fabric scissors to trim the sides. See though, it’s really easy. You can totally make this at nap time while you watch Netflix! 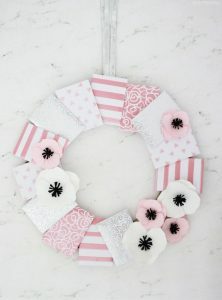 You can see all of our other wreath ideas HERE. I must’ve missed it. What is the modge podge for? Super cute idea. Would be so simple to make holiday themed ones as well. And different sizes too. Thank you! You are so right, I really want to make a bigger one now! I missed the part where you tucked in the extra fabric? Or did you use an exacto knife to go around the circle to cut the extra off? 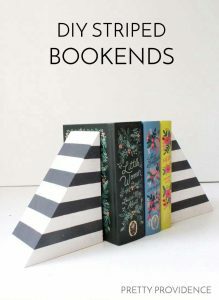 We are going to try to do this for a craft day with a bunch of ladies. Super cute!! 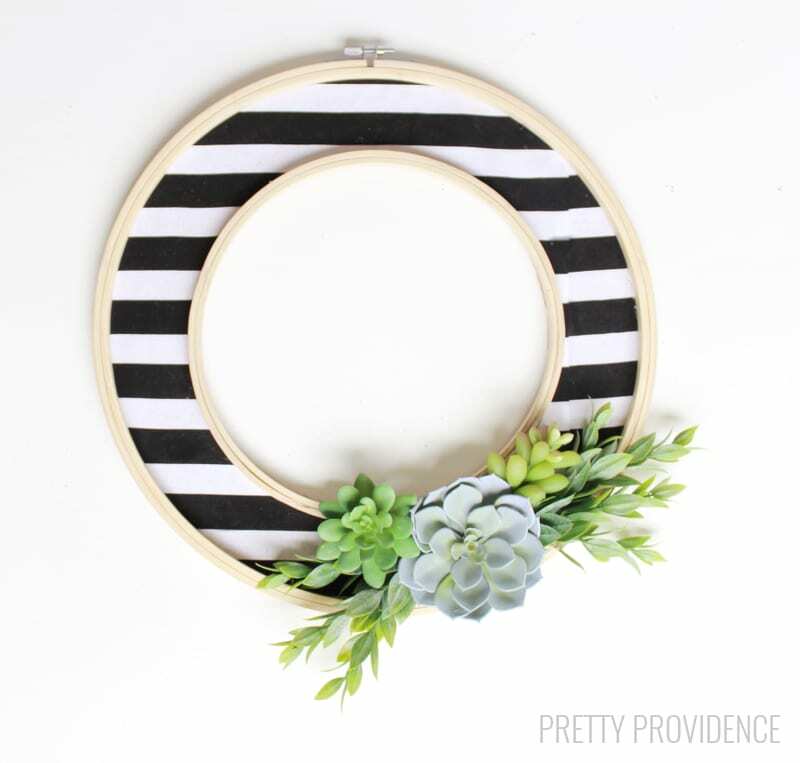 I love how you used embroidery hoops.